Last Sunday, our family took a trip to the beach. Only we never laid eyes on sand. and getting lost in the sound of the crashing surf. to play tag with the waves. to document here but the end result was traffic. we took a quick vote and decided to try and find a lake. it was late to find a prime spot with some shade. We had prepared for the beach and not blazing sun. Translation: we had grabbed sweatshirts and not sunscreen. not so well in hard soil supported by driftwood and rocks. 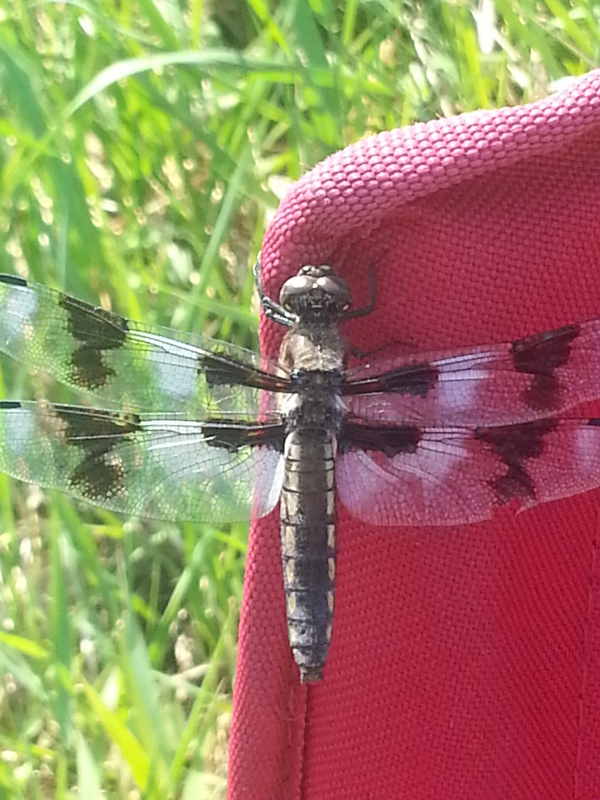 a dragonfly landed on Carlen’s chair. We took pictures and selfies. by a winged creature’s chance landing. a tall blade of grass to hasten its departure. or in one case 2 days. I was extremely wordy back then. like the Cliff Notes, read on. 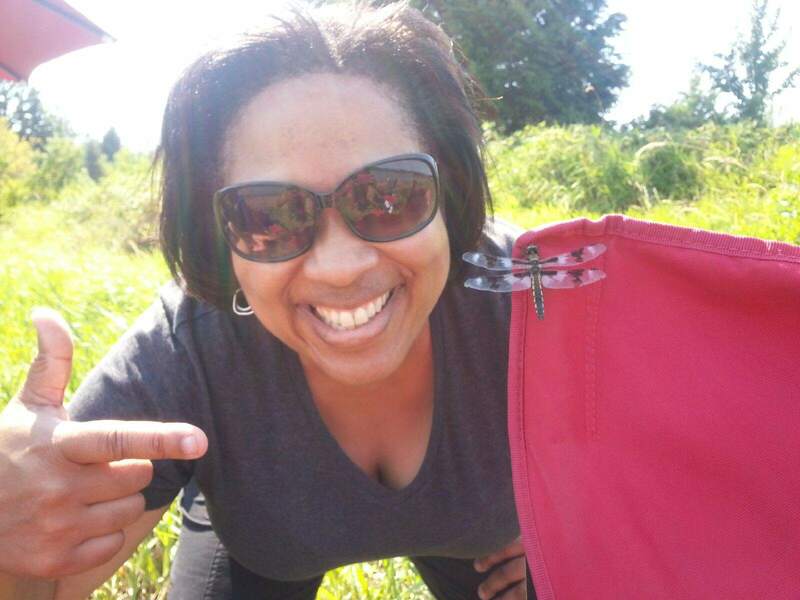 We questioned why those dragonflies landed and remained. The answer was revealed in a Google search in ten words. they also remind me to rest. than a beach, it was to spend time as a family. A lake, a beach or even a backyard could accomplish this goal. Rest isn’t always an easy road. to find the place of rest. Seek rest no matter what it looks like. I think rest is very much off the beaten path. the priceless deposit of rest. I envy your degree differential! Sounds like a superb day despite the rerouting. Glad God met you with cool breezes and pizza deals! I drove west on Monday to avoid the high temperatures, turned around and drove 30 miles when informed of hour or two traffic backup, set new goal to Tillamook and three capes scenic route. Found pizza slices 4 for price of one, Tillamook ice cream cones and beautiful views. Surprised by and loved the cotton-ball like fog blocking water view at ground level. Communing with God through nature was what I needed. Plus happily, 37 degrees cooler!